Having only wrapped the third leg of their massive farewell tour this past weekend, Slayer are already looking ahead to 2019 with the announcement of more dates throughout North America, Europe and more. 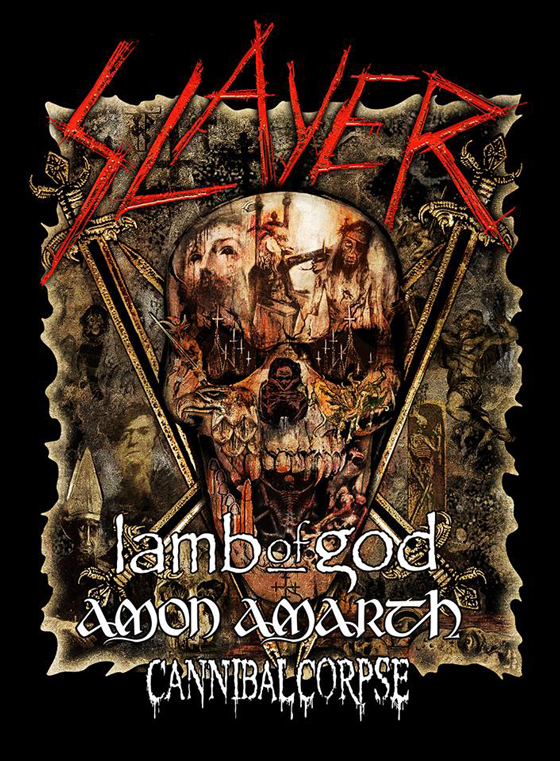 Following concerts in Australia, Japan and the South Pacific next March, Slayer will return to North America alongside Lamb of God, Amon Amarth and Cannibal Corpse. The bands will play throughout the continent in May, making a lone Canadian stop in Ottawa at the Canadian Tire Centre on May 22. Following a run of European festivals in June and July, the band will play Heavy Montreal the weekend of July 27 and 28, marking their final live performance in Quebec. You can find the band's forthcoming North American dates below, and can find a complete itinerary here. Read our Essential Guide to Slayer here.